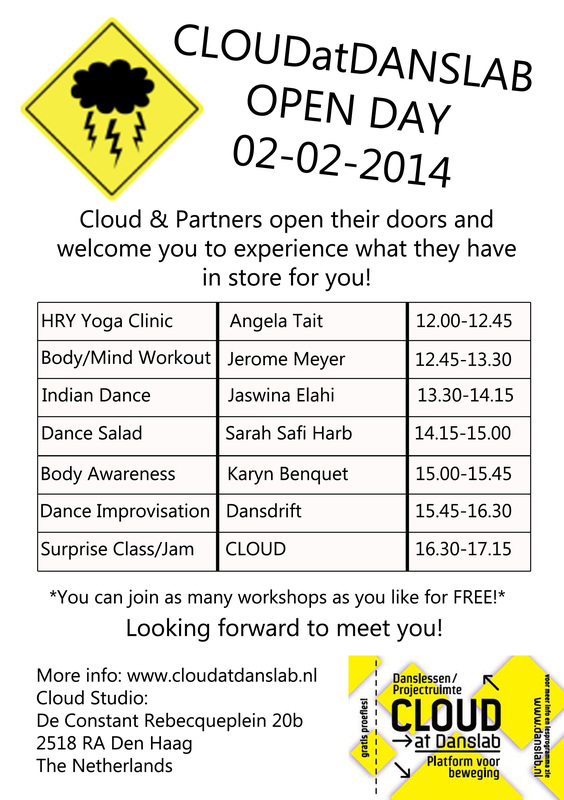 Join Sandra Kramerova at Cloud for Action Dance workshop every second Saturday of the month! Sept 9, Oct 14, Nov 18 and Dec 9 14:00-16:00 . Come explore athleticism and physical theater of effort though imagination and action based improvisations. 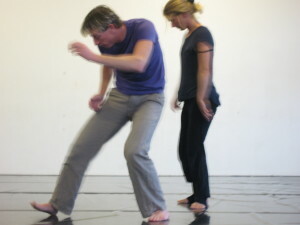 Action Dance workshops focus on energy flow, functional motion, creative decision making and anatomical expressivity. 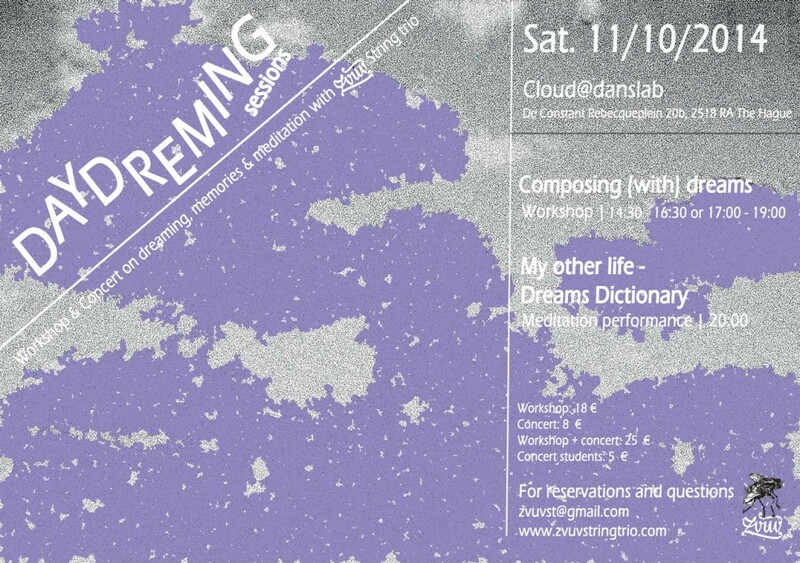 The first workshop is happening on Saturday September 9th at 16:00 as part of DCR Festival. Come try it out for free! After the success of the first Butoh workshop at CLOUD/Danslab, lead by butoh master Natsu Nakajima, we organize the second butoh intensive week, now with 2nd generation butoh artist Yuko Kaseki. Dance is an odd job and graffiti is sprayed fast, erased and painted over and over in urban space. What is choreography? What is improvisation? What is life? Breaking the border of systems and accidents that feed each other to find their own way of creation. Take risk in the process for progress, to print on a new surface. Participants are asked to bring their own theme for a performance, develop and demonstrate it. The intention of the workshop is to expose oneself to the possibilities and challenges of damage, and re-creation. Furthermore we will establish original movements through improvisation with image, gesture, space, and relationships and thus increase body awareness. The physical training will be based on Noguchi gymnastics, elements of Tai-Chi, and Butoh methodology. We practice the whole body to make it permeable for the awakening and the deepening of our layers of sensitivity. We will attempt to explore how we associate the variations of our inner body in relation to the outer by listening honestly. Yuko Kaseki lives and works as a freelance dancer, choreographer and teacher in Berlin since 1995. She studied Butoh dance and Performing Art in HBK Braunschweig with Anzu Furukawa and danced in her company Dance Butter Tokio and Verwandlungsamt in 1989-2000. Yuko Kaseki and Marc Ates founded the dance company cokaseki in 1995. She has been involved in various projects with musicians and visual artists. Solo and ensemble performances, improvisations are performed throughout Europe, Japan, Taiwan, Korea, Canada, Mexico, Uruguay, Argentina, Australia, Russia and the USA. These works are physical performance that incorporates Butoh, contemporary dance, object design, texts, and soundscapes. Yuko Kaseki performs and organizes improvisation series “AMMO-NITE GIG” (Vol.1 – 48 and on going) with international performers and musicians since 2004. Collaboration with inkBoat (San Francisco) since 2001, CAVE (New York), Isak Immanuel/Tableau Stations(San Francisco), Theater Thikwa (Berlin), improvisation duo with Antonis Anissegos(Berlin) and others. Registration for 5-day Butoh workshop by Yuko Kaseki with an intensive training of 5 hours per day. The number of places is limited. Yes! The next CLOUD Club will be on Saturday, April 9th, 2016! Our resident Zwoisy Mears-Clarke will guide an intensive shaking session. The physical practice of shaking is a personal preparation of “getting in tune” with ourselves so that when we sit the tensions will be dissolved. The repetitive action of continuously shaking can lessen and grow in intensity as we experiment with what state of the body/mind will be produced through this active release. Zwoisy Mears-Clarke was born in Jamaica and immigrated to U.S.A. at the age of 13, before heading off again at 21. Following this ongoing migratory experience Zwoisy’s work focuses on the translation of untold stories. Paired with discussion of written and oral stories throughout the process of creating each piece, full-bodied movement, gestures, scholarly literature and collaboration are used to support its materialization. The aim of this process remains to provide alternatives ways to share experiences and form connections between estranged communities. Zwoisy received a B.S. in Biomedical Engineering at Columbia University, New York City and a B.A. in Physics and Dance at Oberlin College, Oberlin, U.S.A. in 2012. Within the work, one will find that these opposing yet complementary concepts of the body are connected. In the recent years, Zwoisy has studied with Billie Hanne, Jodi Melnick, Kirstie Simson, Mary Cochran, and Nancy Stark-Smith, and has performed the works of Isabelle Schad,Susan Rethorst, Kyle Abraham, Will Rawls, and Wendy Jehlen. Zwoisy has performed and shown work at venues both in Berlin and New York City, such as HAU, Sophiensaele, New York Live Arts, the Tank and the Glicker-Milstein Black Box Theatre. Currently, Zwoisy is based in Berlin. Give yourself and a loved one a Valentine’s gift: an afternoon of pleasurable, grounded and harmonious movement. On Saturday February 13 from 14h00 to 17h00, Aikido teacher Lawrence Warry joins Nia teacher Kim Brice to create an afternoon of movement grounded in the techniques and philosophy of Aikido, the martial art of harmony. The focus of this playshop is to experience GRACE through movement: Grounded, Relaxed, Alert, and Centered. The afternoon will start with a warm-up blending practices from Nia and Aikido, followed by a session of Aikido practices that will teach you how to move from your body’s center in a grounded, relaxed and fluid way. After a break, Kim will lead a Nia class which will incorporate the principles you have learned. We will end the day with mindful relaxation techniques from the traditions of Shiatsu and Thai massage. This event is open to men, women and children 12 years or older. Bring your loved one! Cost: Contribution based on your level of pleasure and gratitude, cash only. CLOUD is joining forces with TodaysArt Festival on this exciting workshop on September 25th and 26th. We’ll be there and we are excited to invite you to join this special Sound and Movement class. Premiering at TodaysArt 2015, the festival for contemporary art and music in The Hague, Netherlands, 4DSOUND: Circadian presents interdisciplinary works from a diverse set of artists – all created exclusively for the Electriciteitsfabriek. 4DSOUND prepares a 24 hour program of interactive spatial sound performances featuring Lisa Park, Marco Donnarumma, Kazuya Nagaya, Oscar Mulero, the overnight A/V meditation project Noqturnl by John Connell and Florence To, and more to be announced. The event includes an opening conference, a sound and movement workshop, immersive sonic meditation, participative spatial performances, overnight collective dream state. Robert will host the sound and movement class and a lecture for 4DSOUND: Circadian inviting participants to explore a ‘physical’ listening practice. Investigating how we perceive sound composition, what the body considers a ‘healthy’ sound texture, our ability to perceive sound internally as well as externally, and the influence this has on our spatial awareness of space both internal and external, and the sense of self that emerges from this understanding. 4DSOUND is a laboratory and cultural collective exploring Spatial Sound as a medium. Since 2008, it has developed an innovative Spatial Sound technology that has significantly improved and expanded the possibilities to create, perform and experience sound spatially. 4DSOUND is a fully omnidirectional sound environment, where the listener can appreciate Spatial Sound images in a virtually unlimited spatial continuum. Sound can move infinitely distant or intimately close to the listener: it moves around, as well as above, beneath, in between or right through them. A 4DSOUND environment allows for a natural reproduction of sound sources in a spatial environment. The loudspeakers are completely transparent: instead of listening to speakers, one is listening to space. 4DSOUND is at the forefront of researching and demonstrating how Spatial Sound is becoming intertwined with a broader cultural movement that propagates self-awareness, social cohesion and sustainability. Spatial Sound is at the heart of a development leading to an Ecology of Listening – influencing the quality of the listening environment to enhance our mental and physical state. For her research at Cloud, Ilse van Haastrecht asked herself the question: can I actually feel my spine? Where can I touch it? What happens when I move and when I change levels? What is proprioception? You are welcome to join Ilse in pursuing these questions. During the Lab, participants will explore these issues through improvised assignments, with prepared material, to study anatomy and to see how we can apply this knowledge to the moving body. This lab is part of Ilse’s trajectory as a candidate teacher of Axis Syllabus. She looks forward to exploring together with you and she is open to your input and feedback. www.axissyllabus.org) aims to compile knowledge and reference points to what it might mean to move in healthy and structurally supported ways. The information is constantly tested and updated through classroom and research experience. The challenges, aims and contexts for the moving body keep changing, as different bodies, situations and individual needs are various. Looking into anatomy, applied physics and bio-mechanical functioning, serves as a frame to help finding best ways of educating ourselves into graceful movement. The lab is open to anyone interested in the moving body. If you have any questions, feel free to contact Ilse van Haastrecht. If you wish to invite friends, please do so. Spread the word! Based on the physical system developed and created by choreographer Edan Gorlicki and the dancer Mayke van Kruchten, the ‘Body Language’ workshop leads up to the creation of performance-installation ‘Body Language’. The ‘Body Language’ physical system is the second part of an ongoing study on power and control. The goal while creating the system was to try to give the body full control of what the body does and then to discover the bodies choices. To find this out, Edan, together with Mayke, searched for a way to minimize or even eliminate mental judgement, choices and creativity from the movement vocabulary; giving power to the body. This way everything the body does would come from the body itself and not from a mental command; An impossible task perhaps, none the less, an interesting one. This workshop will take you through the steps of this physical system and lead you through a path of letting go mentally, discovering your body’s physicality. First we will limit our physical possibilities to a very minimal range, challenging your mind to the maximum. Once we have practiced that and become more comfortable with the limitations, we will start to delayer the rules; opening up the possibilities within the structure. Eventually, giving the body full freedom of moving possibilities but maintaining the concentration level of listening and discovering as things happen. 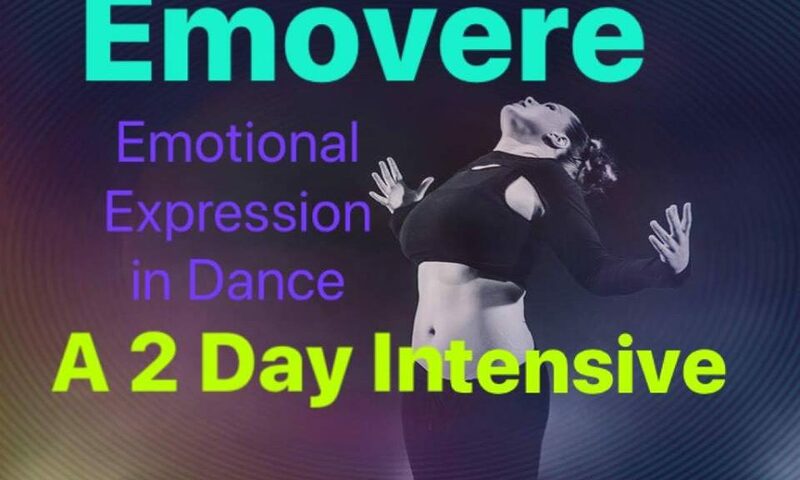 Finally, you will experience a very active physical experience of movement fully choreographed by your own body, taking you on a fascinating journey and leading you to places and situations you would otherwise not bring yourself to. 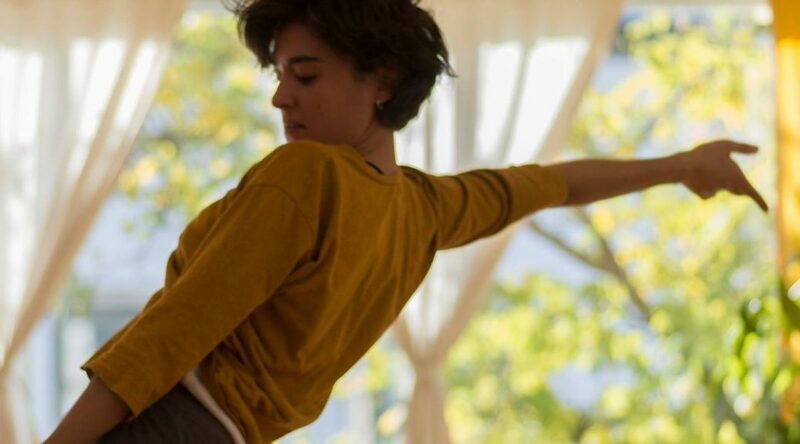 Born in Haifa, Israel, Edan Gorlicki is a choreographer, teacher and movement research artist based between Heidelberg, Germany and Groningen, the Netherlands. Edan has performed the works of may choreographers such as: Ohad Naharin, Itzik Galili, Guy Weizman & Roni Haver (Club Guy and Roni) and many more. Edan is familiar to many of us because as the creator of LAMA movement research.He will share more of this during the morning classes and movement class at our friends in Dansateliers (Rotterdam) from 10th till 15th of November. In 2007 Edan co-founded Random Collision, Groningen – a platform developing and bridging between young makers and their audiences. There he also initiated the first movement classes in the Netherlands, which inspired Dansateliers (Rotterdam) and Korzo (the Hague) to follow this formula that develops a bridge between makers and their audience. Too often we ignore dreams. As if our awake reality would completely delete what happened during the dream state. Why does it have to be over when we wake up? We invite you to a day where our main focus are dreams. We will explore them and make music with them and with your help. If you are a dreamer, either during the day or during the night, this is the right place to be. Read more. 2 February CLOUD opens their doors to give you a taste of the very diverse menu of dance that happens in that mysterious studio on the 2nd floor of the DCR. Join the classes for free and have fun with stretching, bending, shaking, sending, feeling, breathing, speaking, and playing with your body and with others. Bring all your friends and get hooked! For more info about the classes, check this link. Zondag 22 December geeft Eline een workshop in De Nieuwe Regentes in Buurtbruis II, een workshopmiddag met kunstenaars en makers uit de buurt. Voor iedereen is er wel wat bij en eind van de middag kun je kiezen tussen twee films. Voor 5 euro inclusief een drankje (we hebben die dag ook glühwein en warme chocomelk) kun je aan een workshop meedoen. Wees er snel bij, het aantal plaatsen is beperkt. Alle workshops zijn geschikt voor alle niveau’s, ook beginners. Eline’s workshop ‘Bewegende Geluiden’ is een workshop ontwikkeld in samenwerking met Barbara Ebner tijdens hun project RADAR, waarin de dansers luisteren naar en reageren op de geluiden van het publiek. Eline en Barbara hebben een methode ontwikkeld waarin ze op verschillende manieren luisteren naar geluiden, en deze geluiden in beweging vertalen. In de workshop gaan we deze verschillende manieren van luisteren verkennen, en daarmee de geluiden als motor voor beweging laten werken. Hierdoor gaan we dansen met geluid, tussen geluid, in geluid, worden we bewogen door geluid en creeren we geluid met en voor bewegingen. Voor iedereen die de wereld wel eens van een andere kant wil bekijken, en wil gaan spelen met wat er is, hier en nu.